Over the last decade Russia’s commercial aviation industry has faced up to a number of institutional and structural changes, some of them with diverging courses. The country’s transport ministry’s progress in upgrading the industry’s legal framework has resulted in the elimination of several out-dated acts, including, for example, improvements regarding the introduction of import tax relief for the purchasing of western-built aircraft; the adoption of non-refundable tickets; and the introduction of electronic check-in and e-freight procedures; all of which, in general, have noticeably raised the industry’s commercial efficiency to new levels. At the same time the introduction of some of the new measures has made market entry for new players even more difficult, further aggravating the existing market imbalances, in particular the trend towards monopolisation and the concentration which is continuing across the industry. With many believing the general aviation segment to have degraded into a hopeless stagnation, it is not difficult to see that along with certain improvements in the legal framework, the existing regulation practices are far from efficient, as they have created persistent risks and challenges, which are affecting the industry’s development, both in near- and long-term perspectives. Clearly, Russia’s regulatory environment still requires substantial amendments, including some fundamental changes. Below are several examples of such risk factors. The inexorable trend towards concentration in the Russian air transport market, which has been especially evident since 2011, gained further momentum when state-owned regional airline assets (Vladivostok Avia, Saravia and Rossiya Airlines, SAT Airlines and Orenair) were merged into Aeroflot. Although apparently a rational business development, this measure simply gave the Aeroflot Group the power to dominate the market, swamping its nearest, private, competitor by a multiple of five. Discussions on ways to preserve and maintain a level playing field and balanced, fair competition have been continuing for several years, but are yet to find efficient, alternative mechanisms. Indeed, the legal framework has a number of clearly discriminatory elements that directly impede and discourage new players from entering the market. Some examples include the fact that a new entrant is now required to have no fewer than eight aircraft in its fleet at the time of its launch; it is not allowed to operate international flights for the first two years of operation; and there is a limit on foreign ownership of any Russian airline. It is no surprise then that as a result of such a policy there has been just two new passenger airlines obtaining commercial Air Operator Certificates (AOCs) in Russia in the last several years. They are Aeroflot’s low-cost subsidiary Pobeda Airlines and Azimuth Airlines, a start-up supported by the state through State Transport Leasing Company (GTLK), which leases its entire fleet of Russian-made Superjet 100 regional jets to the airline. In the same period, several large airlines, such as Transaero (in 2015) and VIM Airlines (in 2017), and an array of smaller carriers including Sky Express, Kuban Airlines, Avianova, Tatarstan, Polyot and, lately, Saratov Airlines, have all been forced out of business. In the current economic climate – one in which the state budget has tangible limits – raising funds from the private sector could prove to be the best, efficient means of motivating competition. Sadly, in reality, the existing punitive regulatory barriers will not only inevitably cause the number of airlines to continue shrinking, but financial struggles will also continue to push carriers to the brink, and new airlines will be discouraged from entering the market. Despite the government’s efforts to improve the overall legislations, a number of significant issues remain unresolved. A major one is the absence of legal mechanisms for allowing the wet-leasing of an aircraft (a contract for the renting of an aircraft with crew to a partner carrier), a shortcoming which consequentially reduces airlines’ flexibility in managing their fleets and is therefore stifling the development of both airline groups and individual carriers. Wet-leasing is widely used across the world for alleviating the effects of seasonality, and in those instances when short-term capacity reduction is desirable. Even though compatible wet-lease regulations are vital for the development of the export of aviation services, for many years the industry’s continuous pleas for the legalisation of wet-leasing in Russia have thus far received only negative responses from the country’s commercial aviation regulator Rosaviatsiya. Officials cite ICAO Documant 9626 as contradictory to this practice. However, the document merely points at the risks of dilution of responsibility, embedded in any form of operational lease, which is the primary form of aircraft ownership in Russia. So national authorities are advised not to impose restrictions on leasing, but instead to adapt their current national regulations. Another example of regulatory inefficiency is the absence of a legal basis for overbooking, the practice of airlines countering the problem of no-shows by selling more tickets than the number of passengers they can accommodate. Overbooking is recognised globally and is usually an efficient device for managing and optimising airline revenues. In other regimes, aviation regulations offer provisions and recompense for when there are a lack of available seats, and there are mechanisms for identifying and compensating those passengers denied boarding. Russian airlines, which somehow are currently implementing their own overbookings schemes, are at risk to possible lawsuits because litigation remains the only way for passengers to protect their rights. A draft bill for introducing the term ‘overbooking’ to Russian legislation was reviewed by the transport ministry and taken to State Duma (the lower house of the Federal Assembly of Russia) but, remarkably, has not been pushed through. Yet, it is not hard to see the win-win position here: the pursuit of a compromise would see airlines reduce their legal risk exposure and enable them to benefit from this efficient, well-practiced revenue management device whilst, at the same time, passengers would gain an intelligible and transparent mechanism which protects their rights. Up until 2016, the certification and standardisation functions for Russia’s civil aviation were performed solely by the Interstate Aviation Committee (IAC), which was formed in 1991 as a supervising body to oversee the use and management of civil aviation in the Commonwealth of Independent States (CIS). Although the need for creating a national validation system has long been on the agenda, in practice the transfer of jurisdiction from IAC to Rosaviatsiya (the current regulatory body) has encountered difficulties. The lack of constructive dialogue between the two entities has impeded the seamless transference of the existing certification body onto the new national level. Therefore a certification system has had to be created from scratch. Up to the present day, Russia’s national certification system has still not won fully-fledged international recognition and, according to United Aircraft Corporation, Russia’s conglomeration of fixed-wing aircraft designers and producers, this situation has forced local manufacturers to seek two certificates – one from IAC and another from Rosaviatsiya. Clearly, Russia’s aviation certification system is still a work in progress, as it needs further refinement and, unless this and other issues are resolved promptly they will hinder the modernisation of the industry and impose tangible limitations on the export potential of Russian aircraft and components producers. 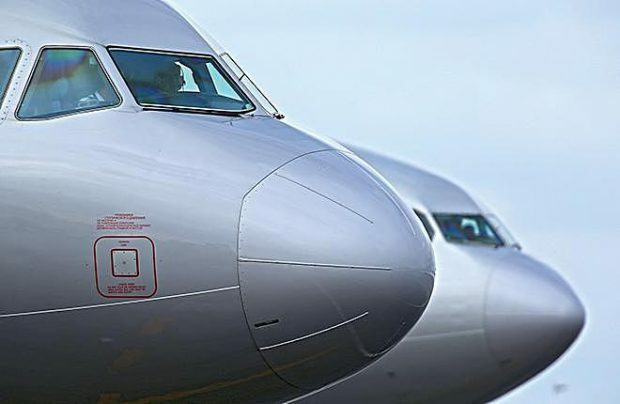 In 2017, Rosaviatsiya once again announced the objective to transfer the registrations of all fleets operated by Russian airlines onto the national register. Although the practice of registering leased aircraft under a foreign jurisdiction is not confined to Russia, what makes Russia stand out is the fact that the vast majority of its collective fleet is registered outside the country. The operators’ reluctance to place their aircraft under the Russian flag is almost entirely due to the fact that the country’s continued airworthiness practices are not yet harmonised with international standards and are therefore mistrusted by counteragents (international financial institutions, lessors etc). The main problem is that once listed on the Russian register, an aircraft instantly ‘disappears’ from the world and its post-Russian operations marketing value shrinks visibly. The aircraft will have to undergo a so-called ‘bridge check’, which is an expensive maintenance procedure, to confirm that the aircraft’s log and other documents match its actual condition. In other words, such an aircraft’s residual value is greatly challenged, a factor that directly influences fleet ownership costs. Even though at the same time neighbouring Belarus and Kazakhstan have both managed to harmonise their regulations with international requirements, Russia seems to be lagging behind in this matter. Another serious argument against placing aircraft on the national register is that, in Russia, an aircraft is legally described as ‘real estate’ and as such is subject to an additional two per cent tax. There are ways around this tax by selecting a region for registering the airline, but it is mostly a complicated process. Over the last several years Rosaviatsiya has been besieging private aviation training schools and withdrawing their licences, thus leading to a dramatic shortage of such institutions in Russia. As a consequence, the role of flight and ground crew training is now concentrated in a handful of existing state aviation universities and colleges which, as institutions of formal higher academic education, usually offer courses which last five years, and the majority of pilots are trained at colleges which offer so-called ‘professional education’ on courses that take at least three years to complete. Neither of these avenues assure sufficient levels of practical experience training and such an approach towards personnel training is in direct conflict with the free market of air transport services, inevitably leading to a shortage of Russian aviation specialists, a situation which has to be compensated for by hiring foreign pilots. 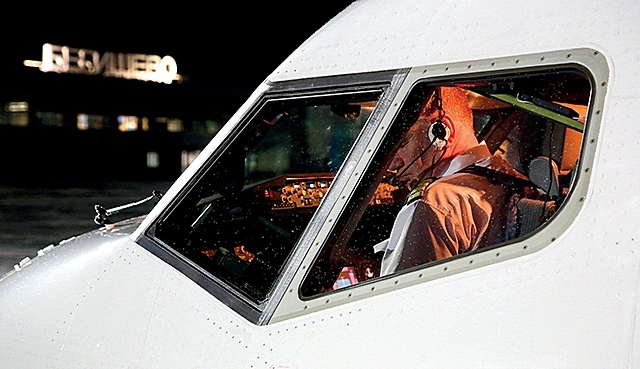 It is almost universally agreed that neither pilot nor air traffic controller training requires a full-scale, degree-style, formal education. So, if Russia is to keep up with global industry trends, its human resources practices should be thoroughly revised. A reasonable attitude towards changing the dynamics of personnel training could be triggered by switching the responsibility of the role from the education ministry to the transport ministry. 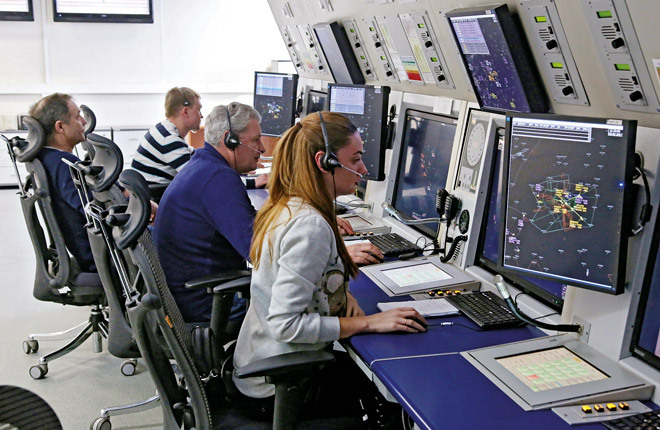 The challenges of upgrading Russia’s air navigation system and improving the efficiency of its air traffic management are being thoroughly reviewed in the draft Air Navigation System Strategy until 2030, which is currently being fashioned. However, there are a number of obvious gaps in the proposal that need to be addressed before the strategy comes into effect. One such issue, which is of high priority for airlines, is the approval of crews’ requests to fly directly to waypoints on their routes. Unnecessary airline losses from this universally accepted Russian idiosyncrasy are estimated at between seven and 15 billion roubles (some $230 million) per year, and increase proportionately with rising fuel costs. Yet, a 2016 instruction letter issued by Rosaviatsiya, places a formal restriction on this procedure concerning airspace usage regulations and remains stubbornly firm in its position even though there are no technological or air traffic control professionalism limitations to implementing this procedure. The current effective latest edition of Russia’s Air Code contains no provisions for the commercial use of general aviation (GA) services. There are many examples in the world where general aviation is involved in all kinds of profitable commercial aerial works and services, contributing to the GDP just as per commercial airlines. The potential for the general aviation market in Russia is estimated at 10s to hundreds of billion of roubles annually. Yet it’s true that further development of this segment is hardly possible unless and until smaller aircraft are permitted to be used for commercial purposes. 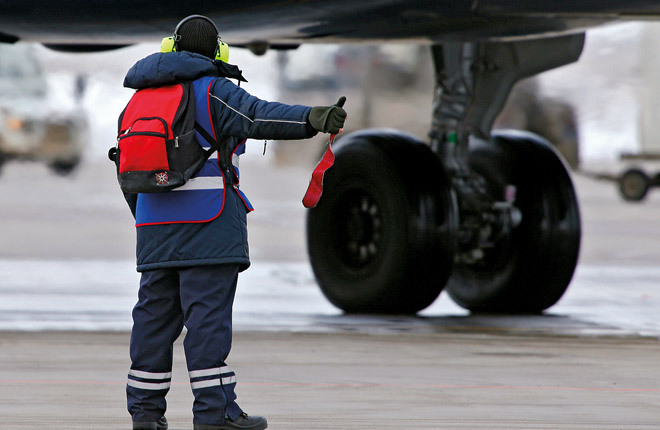 This solution is probably the only way to offset fleet investment costs and maintenance. Yet the transport ministry’s current efforts in pushing through this logical initiative are surrounded by criticism, with arguments that Russia’s GA is primarily private transportation for a limited number of individuals, and as such may only preserve this status quo with these limitations still in force. Although GA’s commercial activities in Russia remain, from a legal standpoint, in the so-called ‘grey zone’ affecting flight safety, excessive limitations lead only to consequences which directly oppose those envisioned by the regulators. The outlined issues lead to the conclusion that the newly-appointed officials of the transport ministry face a number of challenges both in terms of legislations and regulations. All of these issues are waiting to be resolved to allow Russia’s commercial aviation to move on towards a brighter future.